Spain expects to embark on an ambitious expansion of recharge stations for electric and hybrid vehicles in the coming weeks, following imminent approval of reforms to the regulatory framework in the transport sector, according to government and private-sector leaders attending a Bloomberg-sponsored “Future of Energy” summit in London this week. Spanish Energy Secretary José Domínguez Abascal told reporters during the London summit that Spain’s new Socialist government is finalizing reforms making it easier for companies to set up recharge stations that “will be published within weeks and applied immediately thereafter”. According to Abascal, the government will maintain current subsidies of the price of electric vehicles to consumers to encourage the electric car market, while rolling out an “electric mobility” program as part of the government’s overall commitment to renewable energy consumption. 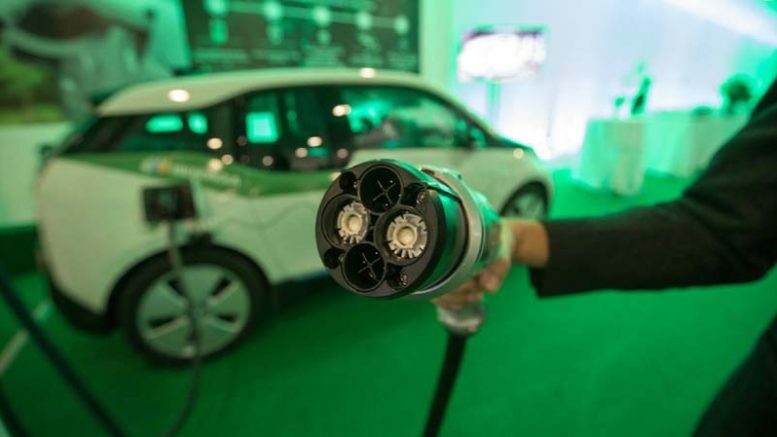 Various Spanish utility companies, including Repsol, Endesa and Spain’s largest energy provider, Iberdrola, are all said to be gearing up to provide electric charging stations across Spain as fast as possible in anticipation of demand from what the market believes will be a growing number of electric and hybrid vehicle owners. Major auto makers are meanwhile gearing up to offer new electric and hybrid models to European consumers in 2018 and 2019, in anticipation of the arrival in the European market of Tesla, the American electric auto manufacturer based in Palo Alto that was co-founded by technology entrepreneur Elon Musk. At an event in Madrid last month, Iberdrola presented its new “Smart Mobility” plan, pledging to have more than 30 electric recharge stations available on Spanish highways by the end of this year and a total of 200 installed at a distance of every 100 kilometers across Spain’s principal highways and main tourism corridors by the end of 2019.